BeKrakow is a company which offers luxury, private, international transfers, including a transfer from Krakow to Bratislava. Our offer is addressed to all those who care about cheap, quick and convenient getting from Bratislava to Krakow. Our private taxi service is much more convenient and faster than a train or a bus. Our prices are also much more attractive in comparison to an airplane flight, because of its complimentary door-to-door service. With BeKrakow you do not have to worry anymore about how to go from Krakow to Bratislava. Our customers can be received from any place in Krakow – Krakow airport as well. Our taxi will drop you at the place that you need (eg. The hotel). Bratislava is the capital and simultaneously the largest city of Slovakia. It is located in the south-western part of the country. It is bordered by two countries – Austria and Hungary to the west and from the south respectively. The route organized by our private transfers from Krakow to Bratislava runs through the following towns: Krakow, Zilina and Bratislava. Book your comfortable taxi service that will securely and comfortably take you to Bratislava. On the left side in the table you will find detailed transfer costs. Our company offers its clients comprehensive services in international transfers, among which there should be mentioned a transfer from Krakow to Bratislava. If you arrive at Krakow by plane and want to hire a taxi from Cracow to Bratislava – with BeKrakow you can do that. Our experienced driver – luxury chauffeur, will be waiting for you at the airport. With us, you save yourself a lot of problems without having to wonder how to get to Bratislava from Krakow airport. All you have to do is contact us and request your direct, private transfer from Krakow to Bratislava. What is the distance from Krakow to Bratislava? Distance from Krakow airport to Bratislava is around 460km. Thanks to our private taxi you will safely and quietly get from Krakow to Bratislava. Drive from Bratislava to Krakow usually takes around 4h. Depending on the situation on the road there may be delays that result from road works or traffic jams caused by peak – time; the transfer time may therefore be changed, about which we will keep you notified during the trip. Would you like to know the transfer price of our private car services? All the necessary information can be found in the table on the left. The price of the transfer from Bratislava to Krakow depends on the number of passengers. We would like to add that the amounts given in the table already include all charges, including gas, cost of taxi, baggage service, air conditioning and insurance. Our transfer from Krakow to Bratislava does not have to be just passing from place to place. We can stop along the way to discover some interesting places. We suggest the following attractions on the route from Krakow to Bratislava: Zakopane oraz Oravski Podzamok. Podzamok Orava is one of the most beautiful castles located in Slovakia – being situated on a rock, it rises about 112 meters above the Orava river. It was built as the so-called “Eagle’s nest”. The entire castle complex consists of upper, middle and lower castles, palaces, towers and fortifications. A place famous for its breathtaking view. Are you wondering what is the best way to get to Bratislava from Cracow? Take advantage of this unique and attractive offer by BeKrakow and enjoy your comfortable transportation. 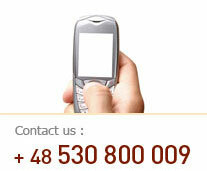 Don’t hesitate and book a taxi from Krakow to Bratislava – you can do this either via telephone or e-mail. We are at your disposal!